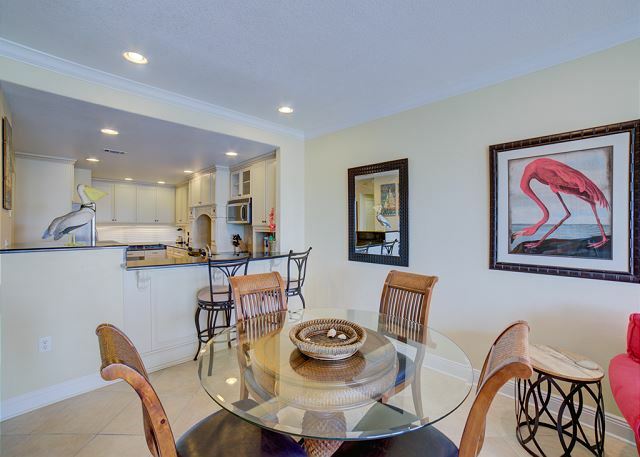 Pristine direct Gulf view two-bedroom, two-bath condo offers easy access to the Gulf, Sound and pool all located a short walk from your door. The furnishings and decor are beautiful and upscale. 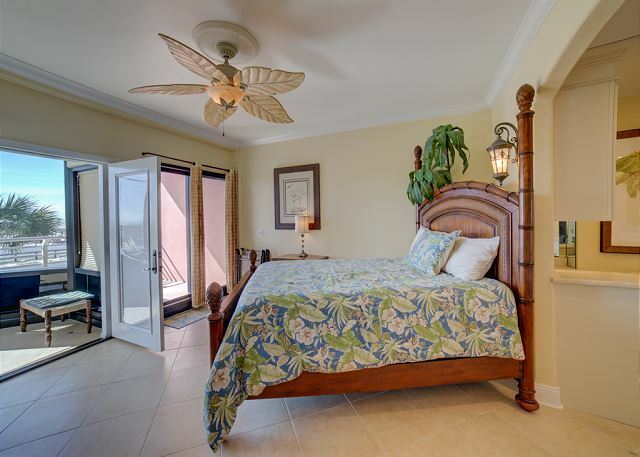 The master bedroom offers a queen bed, private bath with jetted garden tub and beautiful custom tile work and private gulf facing covered balcony. The guest bedroom offers a queen bed and shares a bath with the living area. 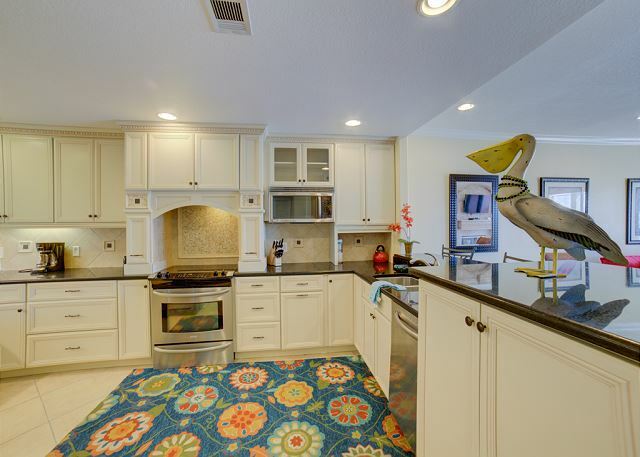 The kitchen has all stainless steel appliances, solid surface range with custom tile back-splash, dishwasher, garbage disposal and raised breakfast bar. 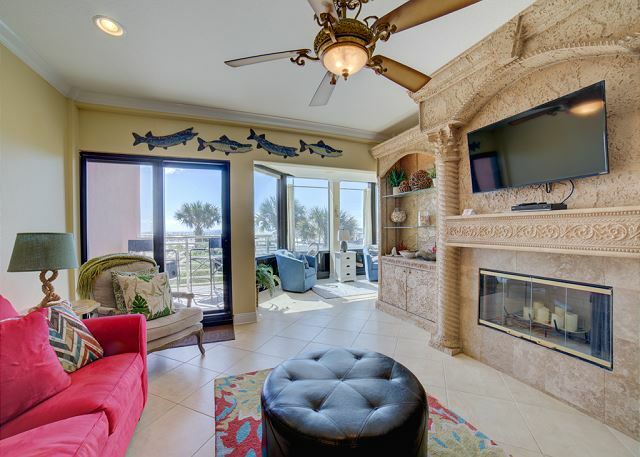 The living area has a covered Gulf facing balcony and the sleeper sofa bringing the total sleeping to six. 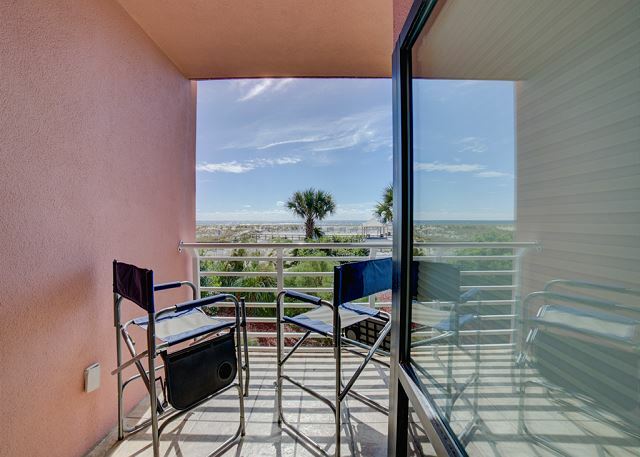 This condo offers tandem covered parking for two vehicles and elevator for guest convenience during arrival and departure. The development is very nice. The unit was nice and accessible. The option of Bay side/Gulf side is a plus although I would imagine it could get pretty noisy in summer as you are across from a public beach w/a lot of parking etc. The particular unit had an uncomfortable couch (pull out) and the master bedroom, while it looked very attractive, has light switches behind the headboard and nightstands scattered around the room vs next to the bed. No light/electic near the bed or night table. I think the furniture doesnt fit the room and makes for a cockeyed set up. The kitchen/guest room/baths were nice. The pool is unheated so for spring visits it isn't really usable. We would stay at the development again, but not in this unit perhaps. 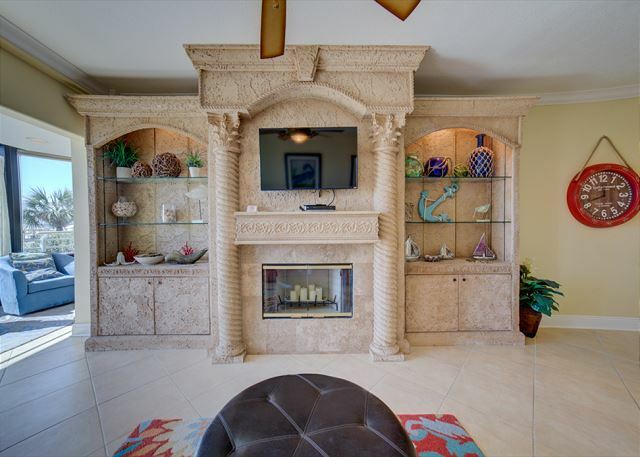 We have stayed at Palm Beach club for the past 4 yrs and this condo by far was the best one we have stayed in! It was very clean and decorated beautifully. We can’t wait for next summer. Thank you for your review! 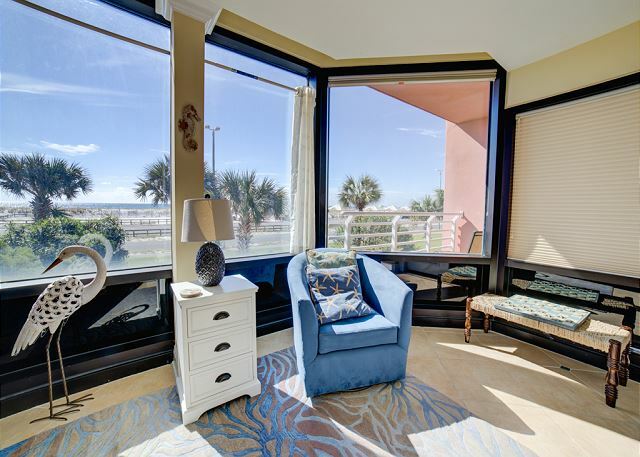 We're so glad you enjoyed your stay at Palm Beach Club 122 and we look forward to your return! 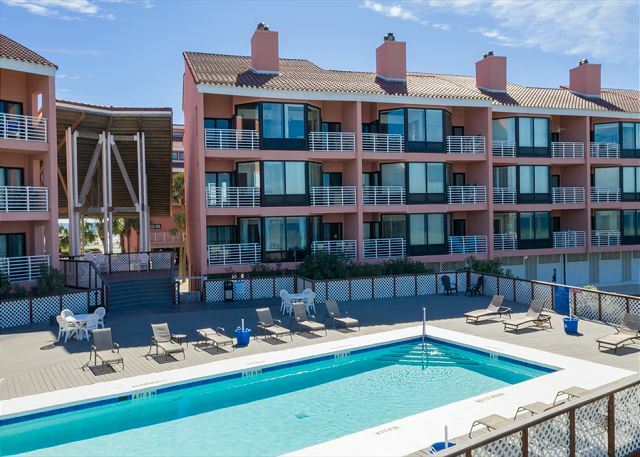 Condo location across from beach and trolley stop gave our family a lot of easy access to day time fun, as well as evening dining, shopping and golf. Loved the pool for sunset swims! We're so glad that you enjoyed your stay and we look forward to your return! Our family had a great time at this location. We loved the location away from all of the traffic. Aside from the strange vietnamese 4th of July celebration, the area was calm and relaxing. Parking under the unit is great and keeps you out of the rain and the car nice and cool on hot days. The only complaint would be that the check out procedure was confusing due to 3 different procedures in the unit, a very simple fix. We would recommend this location and stay here again. Thank you for posting your review. We apologize for any miscommunication about the check out procedures. We appreciate your feedback so we can better our services! We look forward to your return! The location of the condo is 2nd to none! 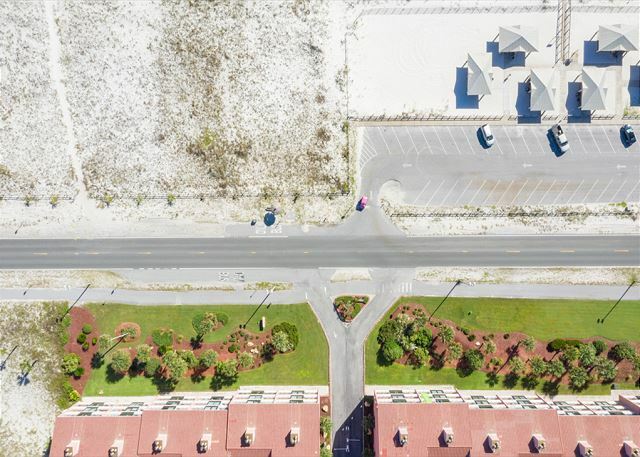 Walk across the street and you have one of the best beaches we have visited in the Panhandle of Florida. It was not crowded at all! The only complaint I have is the Wifi was really slow. For a place as nice as this it surprised me to be so slow. LTE was faster. That will not stop me from booking this location again. Thank you for taking time to post your review. We appreciate the feedback! We will diagnose the problem with the slow Wifi. We hope that you return soon! This was our fourth visit to the area. 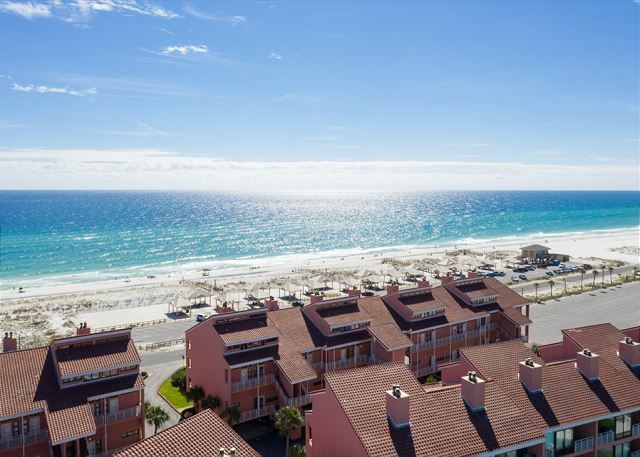 With each visit, we fall more in love with Pensacola Beach. PCBs 122 made this one seem a little more romantic with its slight remote location, the ambiance of lighting, decor, and view from the balcony. The only downfall were the street lights and weak wifi, which were acceptable too. We will be asking specifically for this unit on our return visits. Thank you to the owners for sharing their vacation home. This was a great experience for our first time renting a condo instead of hotel rooms. Nothing negative to say and it was a fantastic experience. Donna was great setting us up with a renters beach goody bag...maybe include a coffee filter for the coffee? Another thing that would be helpful is if a cheap broom/dust pan would be available to tidy up inadvertent sand intrusion. We will definitely be back! 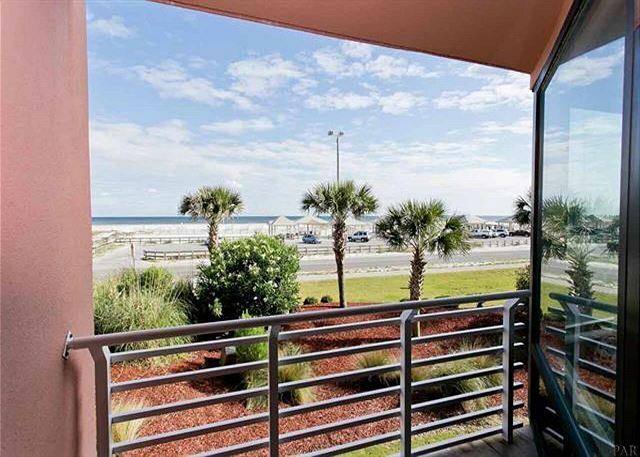 We are so glad to hear you enjoyed your stay at Palm Beach Club #122 and look forward to seeing you again on your next trip to Pensacola Beach! We had no place to stay in Pensacola(Gulf Breeze) because we decided to enjoy the island once our journey to Florida took us there. The Management could not of been more helpful. We got a lovely place with little hassle. My family and I had a wonderful stay at this property. The condo was beautiful, super clean and had everything we needed and were looking for. We had an amazing time and the location and the property were fantastic. We would really recommend this condo. The property management ladies specially Ms. Donna, were super nice, professional and very friendly. This is the second time we booked with Ms. Donna and she has been lovely. We were pleased with the outcome. We will come back next year. This was our 9th trip to Pensacola Beach and our first visit to the Palm Beach Club. We were not disappointed. We loved how easy it was to go from condo to the beach/pool/bay beach. It was so quiet and relaxing. The grounds and common areas were spotless, as was the pool. The maintenance crew is the hardest working team ever - hats off to them. The unit itself was comfortable and allowed our family of 5 a place to spread out and to relax. The towels are a bit scratchy after being in the sun all day, but the shower heads were AMAZING in each bath. Loved the key pad on the main door to the unit so no one had to remember to take a key. 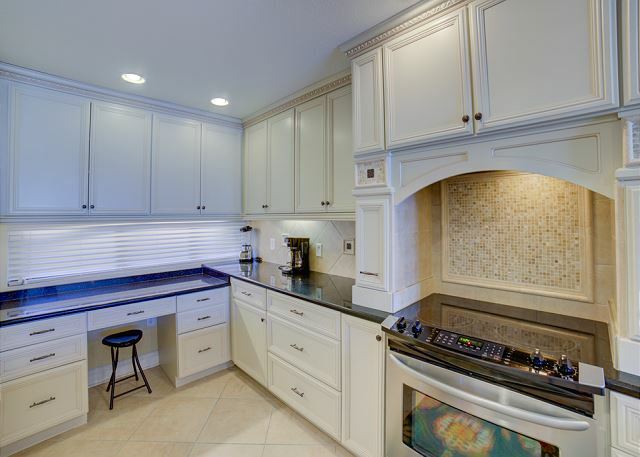 The kitchen is top notch and the pictures do not deceive. 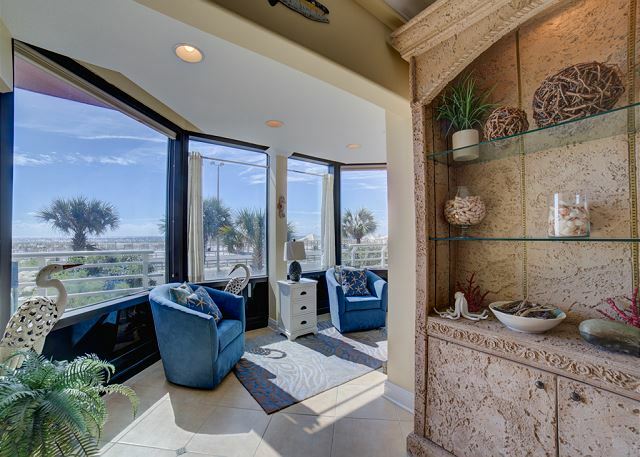 First time renting through Paradise Beach Homes and they were so very nice and easy to work with. A big thanks to the welcome bag we received upon check in, it was a nice surprise filled with lots of goodies! Can't wait to go back again!